On Thursday, America bore witness to the same ghastly scene it's suffered so many times before — a mass shooting, which has left two victims dead and nine more wounded. The attack was carried out by 59-year-old John Russell Houser, characterized as a "drifter" by CNN, who also took his own life as Lafayette, La., authorities were closing in. And now, as detailed by the Southern Poverty Law Center, his radical right-wing political views are coming under the microscope: Lafayette shooter John Russell Houser had Neo-Nazi beliefs, or so his Internet activity would lead you to believe. Documents obtained by the Associated Press see his family characterizing his mental state as "volatile," according to the news outlet. As the SPLC's Hatewatch blog detailed Friday morning, Houser has left a digital trail that displays some very extreme, very frightening views, although the extent to which they factored into his actions, if at all, is still entirely unclear. Houser made his radical views apparent in various online forums — praising the Westboro Baptist Church as "the last real church in America" on Twitter, for example, and voicing pro-Hitler sentiments on USMessageBoard. And, according to the AP, his unstable mental state was known to his family — his wife reportedly removed guns from their home back in 2008. Again, law enforcement authorities haven't offered any theories yet on Houser's motive. But the potential relevance of these kinds of drastic, reactionary views is obvious — back in January 2014, as a matter of fact, Houser apparently posted a message on a forum for supporters of Greece's Neo-Nazi "Golden Dawn" party, specifically mentioning the "power of the lone wolf." He also tipped his hat to Adolf Hitler in another harrowing online post — here are the screenshots, as captured by the SPLC. 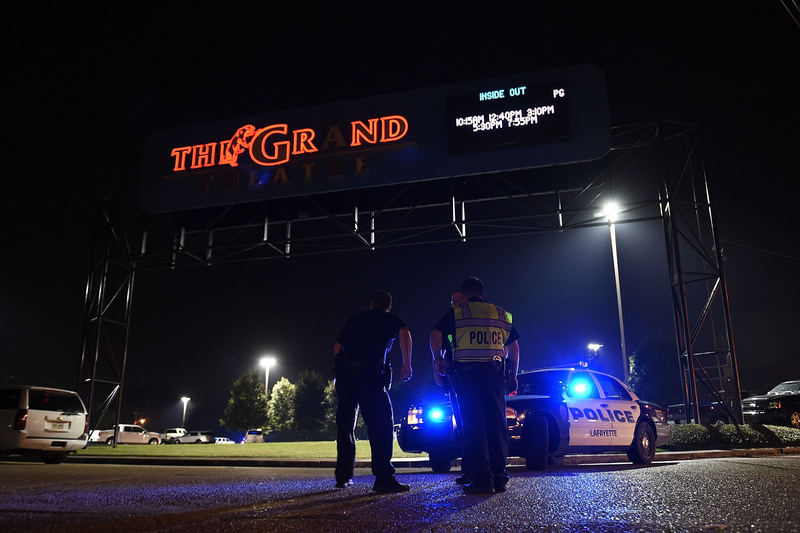 Houser's fatal assault took place at a screening of Trainwreck, the new romantic comedy starring Amy Schumer and Bill Hader, at the Grand Theatre in Lafayette, La., at about 7:30 p.m. local time. Two women were killed by the shooting — 21-year-old Mayci Breaux, who died at the scene, and 33-year-old Jillian Johnson, who died at a nearby hospital, according to CNN. It'll be worth paying attention to what the authorities finally venture about Houser's state of mind, and why (if any coherent explanation exists) he decided to carry out this grisly crime. It's important never to jump to conclusions too quickly in cases like these. However, the troika of factors that have already emerged — mental instability that reportedly led his wife to de-arm their home, Neo-Nazi sympathizing, and admiration for arguably the most hateful religious sect in America — paints a harrowing picture indeed.